Labour Saving Solutions from Zoetis offer farmers cost effective and convenient treatments for calves, heifers and cows in the herd - a wide range of products are available to save time and labour. These Labour Saving programmes are designed to help you save time and labour by reducing the workload over the busy Spring and Summer period. The First 60 Days in the life of a dairy calf are critical to future productivity but coincides with the busiest time of the year. Labour Saving Solutions help protect calves against virus pneumonia and offers a simple solution for treatment of scour. Protect your heifers with season long worm and fly control available with Cydectin Long Acting Wormer injection and Flectron Fly Tags. 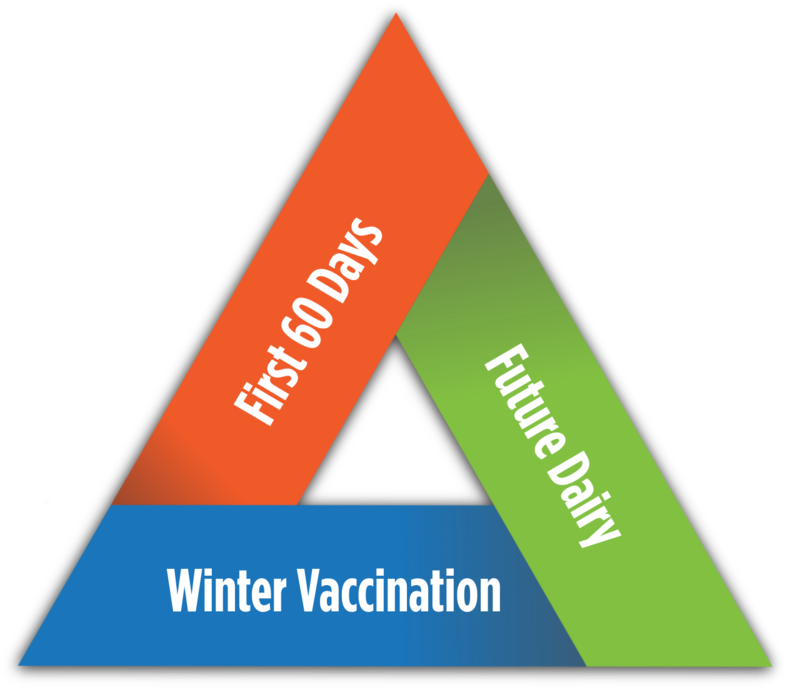 Vaccinating your herd in December is convenient & effective and reduces the workload in spring.